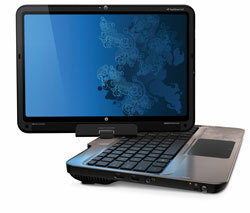 I would use the HP TouchSmart at school. I’ve goon back to school to learn a new career. The HP TouchSmart will be a great asset as I study. Using the tablet feature to take notes. Well if I won the Touchsmart, I’d use it mainly for schoolwork, visiting techlicious, and facebook. Everything’s harder when you have 3 tech savvy siblings, two computer-literate parents, and one desktop pc. I would use the Touchsmart in my band classroom when I give lessons. The tablet feature would work awesome for students to work with my various music composition and music theory programs. I am a college student and I could really use something like this for school. I would use it to research, type papers and maybe even take notes in slate mode. now this is it. i could wear this out. I would use it for all my notebook needs, and give my current laptop to my mom! If I won the HP TouchSmart, I use it to keep control of my business while away from my desktop. This computer would help enhance me teaching as a music educator as I am a recent graduate of Western Michigan University. I believe this computer would allow me to show my students new ways of looking at music, allow me to save paper, and quickly access programs to help students with their questions. I’m a subscriber. One of the things I would like to do is to play with some graphics programs. I am trying to start a bookkeeping business and this would be easy to carry every where I go. All of our family members live out of state so we travel a lot for visits. This would be so perfect for taking with me. So that I am able to keep up with everything while I am gone. Thank you so very much for the chance to win. I would use it as my front line mobile computer. The Ebook feature would be lovely to pass the time while I commute. I would use it in the kitchen for recipes. I’m not a great cook, so I can use all the help I can get! I would use it to travel with & be able to be connected while on the go & I’d be able to watch movies easily too! What a great computer! Thanks for the chance & I’m an email subscriber. I would open the Window and throw my ancient Desktop out and replace it with this “bad Boy” i finally could watch Movies , take it to Night Class, do Worksheets , and connect with family & friends overseas thanks so much for the chance! I will be in grad school this upcoming fall so I would use it for everything school-related. I had a really old PC during undergrad so it’d be nice to mobile for once. Computer/ Ereader, and sketchpad? Cool! I’d use it in the barn office to keep track of…everything. I would use the pc for keeping in touch with my business when I’m not in the office. This would just be a fun thing to have around, I would love to win one because it looks so sleek and cool! Thanks for the giveaway! I’d like to use it to impress the girls at work. I would use the HP laptop so that I can finish getting my education. Then I can get my child back which then I can make a better life for us. I had to allow my brother to take her so I could get myself together. It has been thirteen years. This gift would be a get help and I am glad you are doing it. I would use it while traveling & I’d be able to watch movies and videos easily too! I could really use it for school and entertainment. I’m from Charlotte, NC and I am a young single parent with a passion for art and design, and also the desire to finish my nursing degree for steady income. I would use it for all these reasons. It would be great to use while traveling. What an amazing unit. I would love to win this!! If I were fortunate to win I would finally be able to start the blog I have been wanting to. With 6 of us sharing one computer it is difficult to use. I would be able to do more work from home and we really need the income with hubby out of work for medical reasons. I just started up a business, so I would us it to help get the business started. I Subscribed! This is a gorgeous HP Touchsmart PC. If I were to win the Touchsmart PC I would be so happy because I would be able to give it to my brother and daughter to benefit their education. They would love this because now and days the new technology for education really benfits students to achieve and do well. I have no laptop, so time on the road can be a bit dull. This would help! If I win it will be used for everyday type stuff of checking email, playing games, reading, and more. It will be especially helpful if I have to travel as I do a lot of online advertising as I work as a web designer for a living. I am already a subscriber. What would I do with the HP TouchSmart? Have a great time with it! This TouchSmart would make a great gift for my mom, although I’m guessing my dad will probably use it at least as much she will. But that’s okay. It will definitely get a lot of use. Thank you for the amazing chance to win. My mom has been asking me to buy her a computer for years and I just don’t have the funds for it! :( it makes me feel really bad but if I won this for her she would use it in so many ways. She loves to cook and she can have a pc in the kitchen to follow recipes on the internet. she has also taken a liking to facebook and loves to post pics and she can easily scroll through her pics on the touchsmart. I would use this to keep in touch with my son, daughter and grandson, prepare lessons for my Bible study group, I would also enjoy using the ereader functionality. Being able to research recipes online would be wonderful. I love to tweet,facebbok and read blogs but I only have a desk top computer if I won I would be mobile I could keep up in different place that would be oh so phat! I am a subscriber, and what better way to read techlicious on my commute than on the hp laptop! If I won it, I’d carry it everywhere.